Timings: All day (temple is located in a very busy area/market. So ideal to visit early in morning to avoid rush). About the Temple: This is an ancient temple of Lord Śiva from the times unknown. The Śiva lingam here is around 5feet tall. The lingam grows in height every year and it is believed that when it touches the ceiling of the temple, a pralayam will occur. The temple was built by the Silhara dynasty kings who ruled Thane between 810 and 1240 AD. The lingam is swayambhu and appeared in the near-by Masunda Lake popularly known as Talao Pali. 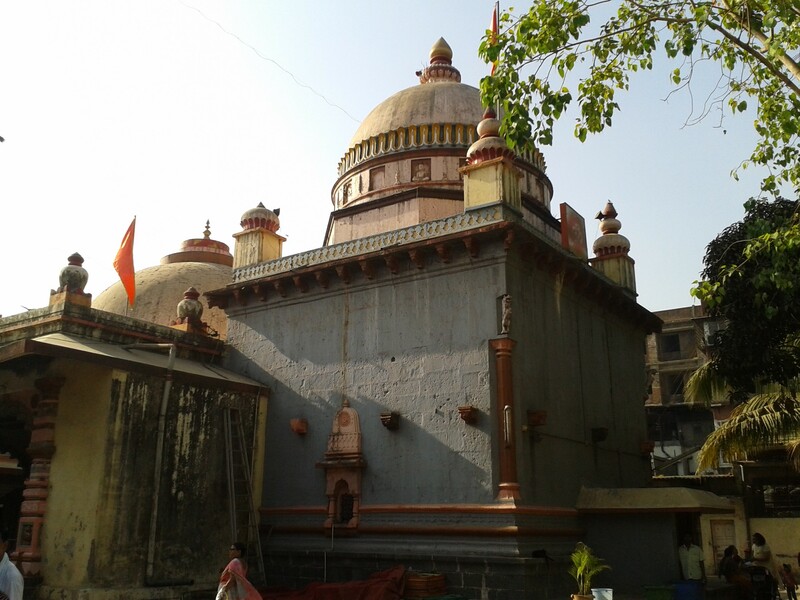 The present temple structure was re-built in 1760 by Sarsubhedar Ramaji Mahadeo Bivalkar. There are many other small temples: Rukmiṇī-Viṭhṭhala, Sītalā Devi, Panchamukha Śiva Lingam, Brahma-deva, Uttareśwar, Rām-parivār, Dakshiṇāmukha Hanumān, Kālikādevi, Gāyatrī Devi, Kāla-Bhairava, Dattātreya, Vasiṣhṭha maharṣhi with kāmadhenu.